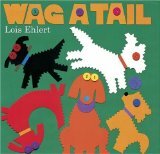 You are likely familiar with Ms. Ehlert’s creativity and her many wonderful books for children. She is a consistently inspiring and innovative illustrator In Hands: Growing up to Be an Artist she has an important message for children and adults. She hopes we will all have opportunities to be creative and she strives to inspire us. Hands shows us the tools mom and dad use in the workshop, the sewing room, and the garden. 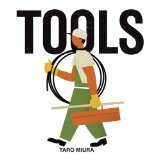 With these tools and imagination a birdhouse, cat toys and a vegetable garden are created. The youngster in this vibrant story is inspired and encouraged when presented with a special place to work – a folding table next to the sewing machine. Children and adults will enjoy exploring this book and will be inspired by the cheery collage illustrations that are use to lead to more creativity. Best for children aged four and up.